NISSAN NAVARA (D40) 2.5 dCi 4/16 - Pickup/ Diesel YD25DDTI Rear Wheel Drive 05/06-04/09. NISSAN NAVARA (D40) 2.5 dCi 4WD 4/16 - Pickup/ Diesel YD25DDTI All-wheel Drive 05/06-04/09. NISSAN PATHFINDER (D40) 2.5 dCi 4WD 4/16 - Estate/ Diesel YD25DDTI All-wheel Drive 05/06-04/09. 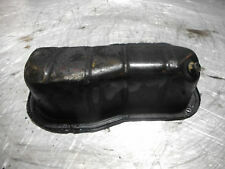 Nissan Navara D40 / Pathfinder R51 2.5TD Engine Oil Pump - New UPTO>01/2010. Fits: Nissan Navara D40 / Nissan Pathfinder R51 2.5TD 05/2005-01/2010. Fits: Nissan Navara D40 2.5TD 05/2005-01/2010. Fits: Nissan Pathfinder R51 2.5TD 05/2005-01/2010. Nissan - Cabstar - F24_ [2006-2013] Platform/Chassis - 2488ccm 136HP 100KW (Diesel). Nissan - Navara - D40 [2005-2015] Pickup - 2488ccm 144HP 106KW (Diesel). Nissan - Navara - D40 [2005-2015] Pickup - 2488ccm 174HP 128KW (Diesel). Fits : Nissan Pathfinder 2.5TD (DCi) YD25DDTi - R51. It should be like ( R51 ). (Year 01/2005-01/2010). Fits Engine Code: YD25DDTi & YD25ETi. Fits: Cabstar, NP300, Navara, Pathfinder. NAVARA (D22_). YD25DDTi; YD25K3LD-5MI. NAVARA (D40). NP300 NAVARA Platform/Chassis (D40). Fits Engine Size: 2.5 DCi Engine. For : Nissan Navara D40 Pick Up 2.5TD / 2.5DCi (Year 05/2005 - 01/2010). For : Nissan Pathfinder R51M 2.5DCi (01/2005 - 01/2010). NISSAN 150105X00A, 15010EB30A, 15010EB70A. Function Oil Pump. NISSAN NP300 NAVARA (D40) 2.5 dCi 4WD Pickup Diesel 07/2005 on AWD 16 174 128. NISSAN NP300 NAVARA (D40) 2.5 dCi 4WD Pickup Diesel 10/2006 on AWD 16 171 126. NISSAN NAVARA PATHFINDER 2.5 YD25 D22 REAR TIMING CHAIN PLATE 2001-2006. NISSAN NAVARA (D22) 2.5 dCi 4/16 - Pickup/ Diesel YD25DDTI Rear Wheel Drive 05/06-04/06. NISSAN NAVARA (D22) 2.5 dCi 4WD 4/16 - Pickup/ Diesel YD25DDTI All-wheel Drive 05/06-04/06. 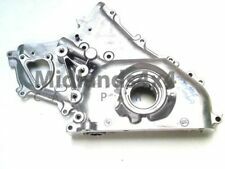 1 x BRAND NEW OIL PUMP OE QUALITY FITS Description Model Year kW HP cc NISSAN NAVARA (D22_) 2.5 D 4x4 11.01 - 98 133 - 133 2488 NISSAN NP300 NAVARA (D40) 2.5 dCi 07.05 - 106 144 - 144 2488 NISSAN NP300 NAVARA (D40) 2.5 dCi 4WD 10.06 - 126 171 - 171 2488 NISSAN NP300 NAVARA (D40) 2.5 dCi 4WD 07.05 - 128 - 128 174 - 174 2488 NISSAN NP300 NAVARA (D40) 2.5 dCi 4WD 12.09 - 140 - 140 190 - 190 2488 NISSAN PATHFINDER III (R51) 2.5 dCi 4WD 10.06 - 126 171 - 171 2488 NISSAN PATHFINDER III (R51) 2.5 dCi 4WD 03.05 - 128 - 128 174 - 174 2488 NISSAN PATHFINDER III (R51) 2.5 dCi 4WD 08.10 - 140 - 140 190 - 190. 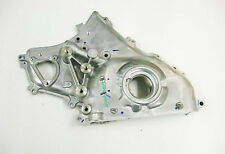 NISSAN NAVARA PATHFINDER 2.5 YD25 D40 OIL PUMP 2006-2009. NISSAN NAVARA (D40) 2.5 dCi 4/16 - Pickup/ Diesel YD25DDTI Rear Wheel Drive 05/06-04/09. NISSAN NAVARA (D40) 2.5 dCi 4WD 4/16 - Pickup/ Diesel YD25DDTI All-wheel Drive 05/06-04/09. 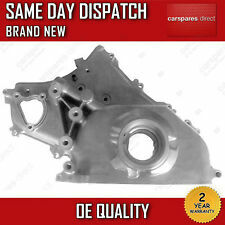 For Nissan Navara D40 - 2.5TD (DCi) YD25DDTi - (Year 05/2005-2009). Part Number - N9920. NISSAN 150105X00A, 15010EB30A, 15010EB70A. Oil Pump LP6305 BGA. 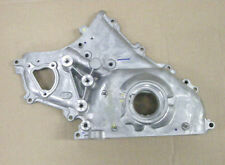 Part Number LP6305. Function Oil Pump. NISSAN NP300 NAVARA (D40) 2.5 dCi 4WD Pickup Diesel 07/2005 on AWD 16 174 128. NISSAN NP300 NAVARA (D40) 2.5 dCi 4WD Pickup Diesel 10/2006 on AWD 16 171 126. HERE IS FOR SALE OIL PUMP. GENUINE PART. Fits : NISSAN Navara D40 Pick Up 2.5TD / 2.5DCi (Year 05/2005 - 01/2010). Fits : NISSAN Pathfinder R51M 2.5DCi (01/2005 - 01/2010). Part No : ADN16134. NISSAN CABSTAR 2000> 2.5DT Truck RWD 5/6 MTM YD25DDTI F24 09/06>. NISSAN CABSTAR 2000> 2.5DT Truck RWD 5/6 MTM YD25DDTI F24 09/06>NULL. NISSAN NAVARA D40 2.5DT P/Up 4 x 4 6 MTM ATM YD25DDTi D40 05/05>. ENGINE CODE: YD25 DCI 16V DOHC 2.5 LTR TURBO DIESEL. FULLY TESTED & EXCELLENT WORKINGNISSAN ORIGINAL OIL PUMP COMPATIBLE FOR D40 NISSAN NAVARA AVENTURA, R51 PATHFINDER & CABSTAR 2005-16. COMPATIBLE FOR VARIOUS MODELS OF NISSAN FITTED WITH ABOVE ENGINE SPECIFICATIONS. Chemicals to stop oil leaks from the seals by restoring to its original size. LEAKS-NO-MORE has been formulated with special. Can be used to stop leaks in industrial gear boxes. Is your vehicle leaking engine oil?. FAI: OP311, ASHUKI: N007-55, BGA: LP6305, BLUE PRINT: ADN16134, ET ENGINETEAM: PU0081, NISSAN: 15010-5X00A, 15010-EB30A, 15010-EB70A, WILMINK GROUP: WG1763830. FAI Autoparts are the professional choice for premium automotive components. Fits : NISSAN Navara D40 Pick Up 2.5TD / 2.5DCi - YD25DDTi (Year 05/2005 - 2009). Fits : NISSAN Pathfinder R51M 2.5DCi - YD25DDTi (Year 01/2005 - 2009). Part Number: OP311. Engine Oil & Lubricant. We pride ourselves in being the Car Parts Experts, with our team collectively having over 250 years of experience in the automotive sector, and our passion for all things automotive has helped us build a product range to suit every possible need you will have for your car. ---The most advanced, high temperature RTV silicone gasket currently available ---Specially designed for 4-cylinder, turbocharged or high performance engines ---Three times more oil resistant than conventional silicone sealants ---Eight times more flexible than cut gaskets ---Stable at temperature of between -80°F to 700°F ---Can be used for almost any gasket application Specially designed for 4-cylinder, turbocharged or high performance engine that requiring a unique RTV Gasket. It is the most advanced, high temperature RTV silicone gasket currently available. It features low odor, non-corrosive with excellent oil resistance. It is three times more oil resistant than conventional silicone gasket and eight times more flexible than cut gaskets. FAI Automotive plc has evolved out of motor sport, with its attendant high standards of technical, logistical and administrative efficiency. Here at FAI we believe our continuing success has been achieved by maintaining certain key principles. If the item is used, we are unable to accept the goods back. AND WE WILL DIRECT. IN DOUBT WHETHER IT WILL FIT?. NUMBER BEFORE BUYING. (incl: NORWAY & SWITZERLAND). Any problem will be resolved regarding our support team. FAI Autoparts are the professional choice for premium automotive components. FAI Oil Pump. Search “FAI Autoparts catalogue”. Any information in the compatibility table is for reference only and there may be unspecified choice options. ENGINE CODE: YD25DDTi. SUITED FOR NISSAN NAVARA / PATHFINDER 2.5 dCi ENGINES. PART NUMBER: OPNIY1435. Housing Colour : Black. Switch Pressure [bar] : 0.2. Connector Shape : Oval. Weight [kg] : 0.05. OPEL 4419137. NISSAN 25240-4M40E. NISSAN 25240-4M400. NISSAN 25240-00QAG. Weight [kg] : 0.043. NISSAN 25240-G2400. NISSAN 25240-70J0E. Part Number:OP311. FAI AutoParts. Then at our discretion we will decide the next course of action. Be aware that each model of vehicle may have a choice of few different part options. Such variations can apply due to upgrade designs on later chassis numbers, or the manufacturers using different OEM suppliers during production process. 3 Years No Quibble Warranty. This product carries full 3 years No Quibble Warranty. Belt Tensioner Wheels & Bkts. Suspension Ball Joints. Windscreen Wiper Blades. Any claims after 24 hours cannot be accepted. Housing Colour : White. Switch Pressure [bar] : 0.6. Connector Shape : Oval. Weight [kg] : 0.04. RENAULT 82 00 359 627. OPEL 44 33 805. NISSAN 25240-00QAH. NISSAN 25240-00Q0A. Housing Colour : White. Connector Shape : Rectangular. Weight [kg] : 0.04. NISSAN 25240-G240A. NISSAN 25240-G2400. NISSAN 25240-8996E. NISSAN 25240-89960. NISSAN 25240-89920. YD22DDTi Diesel 2184 84 114 4 Diesel X - X. YD25DDTi Diesel 2488 81 110 4 Diesel X - X. 2.2 dCi Diesel 2184 100 136 4 Hatchback 09.2003 - X. 2.2 dCi Diesel 2184 100 136 4 Saloon 09.2003 - X. 2.2 dCi Diesel 2184 84 115 4 MPV 08.2000 - 0 2.2 006. ENGINE CODE:VQ35DE 3.5 LTR V6 24V DOHC PETROL. COMPATIBLE FOR VARIOUS MODELS OF NISSAN & INFINITI FITTED WITH ABOVE ENGINE SPECIFICATIONS. 100% NISSAN GENUINE PRODUCT. WE ARE ALSO NOT RESPONSIBLE FOR ANY LABOR EXPENSES, TOWING EXPENSES OR RENTAL CAR EXPENSES CAUSED BY THE USE OF WRONG OR DEFECTIVE PARTS DURING INSTALLATION. Online-Streitbeilegung gemäß Art. 14 Abs. Si vous ne trouvez pas le véhicule que vous cherchez dans la liste de véhicules affichée, cela vient du fait que tous les véhicules ne sont pas représentés. ENGINE CODE:YD25 DCI 16V DOHC 2.5 LTR TURBO DIESEL. FULLY TESTED & EXCELLENT WORKING NISSAN ORIGINAL OIL PUMP COMPATIBLE FOR D40 NISSAN NAVARA AVENTURA, R51 PATHFINDER & CABSTAR 2005-16. COMPATIBLE FOR VARIOUS MODELS OF NISSAN FITTED WITH ABOVE ENGINE SPECIFICATIONS. ENGINE CODE:YD25 DDTi DCi 16V DOHC 2.5 LTR TURBO DIESEL. 100% NISSAN GENUINE PRODUCT. COMPATIBLE FOR VARIOUS MODELS OF NISSAN FITTED WITH ABOVE ENGINE SPECIFICATIONS. WE ARE ALSO NOT RESPONSIBLE FOR ANY LABOR EXPENSES, TOWING EXPENSES OR RENTAL CAR EXPENSES CAUSED BY THE USE OF WRONG OR DEFECTIVE PARTS DURING INSTALLATION. ENGINE CODES: YD22DDTi / YD25DDTi. ARCO MOTOR INDUSTRY. PART NUMBER: OPNIY1415. Oil Pump Style: Wet sump. Oil Pump Pressure: Standard-pressure. High-Pressure Oil Pump Spring Included: No. Oil Pump Driveshaft Included: No. External Oil Pump Pulley Included: No. External Oil Pump Belt Included: No.